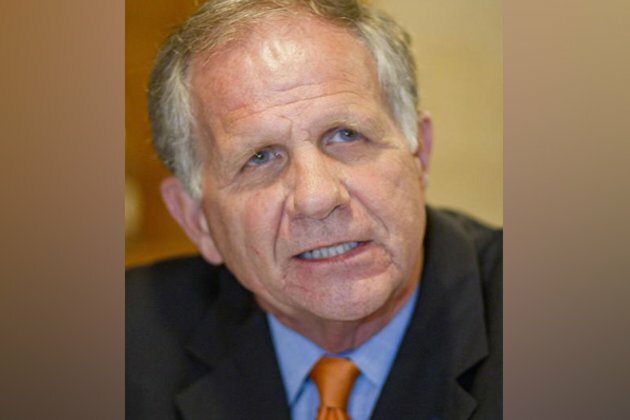 Washington DC [USA] December 6 (ANI): Texas Congressman Ted Poe has hit hard on Pakistan for obstructing justice to victims of Mumbai terror attack ten years after the incident. In an article dedicated to 10th anniversary of 26/11 attacks in which 166 people were killed, Poe said, "We still mourn the loss of so many innocent lives, including six Americans. But justice for this awful attack has yet to be served. The one obstacle: Pakistan." "Pakistan is already well known for helping give birth to the Taliban and providing safe haven for international terrorists like Osama bin Laden and al-Qaeda's central leadership. But Pakistan has held a cozy relationship with terrorists that predates September 11, 2001 and undoubtedly continues to this day. The Mumbai attack and Pakistan's response provide amble evidence," he wrote. The Mumbai attackers, all Pakistani citizens, belong to Lashkar-e-Taiba (LeT). He also said that the outfit (LeT)- which is designated as a terrorist group by the United States, European Union, India, and the United Nations--does not act without approval and support from Pakistan's Inter-Services Intelligence Directorate (ISI). "The LeT and ISI have been joined at the hip since the 1980s, first working together to fight the Soviets in Afghanistan, then in fighting India in Kashmir. After 9/11, when LeT was found to be closely working with al-Qaeda and the Taliban, including training and sheltering senior al-Qaeda leaders like Abu Zubaydah, Pakistan claimed to have outlawed the terror group. But it never arrested LeT's leader, Hafiz Saeed, and the group was allowed to continue operating under its supposed charity wing, Jamaat ud Dawa," Poe added. He further said that Pakistan's true policy towards LeT became clear after the Mumbai attack, when multiple ISI officers were specifically implicated in organizing and supporting the 2008 assault. "Pakistani investigators have even admitted that LeT was responsible for the attack and that it had been planned and prepared for at LeT training camps within Pakistan. But the Pakistani government refused to cooperate in India's investigation and only temporarily took action against LeT, briefly closing their offices and dismissing charges against the group's leader. Today, LeT and Hafiz Saeed are actively involved in Pakistani politics under the Jamaat ud Dawa front and inciting new generations of violent extremists", said the U.S. Congressman. He said that ten years after the Mumbai massacre Pakistan's status as a "counterterrorism partner'' is an absolute joke.